As a whole, the cybersecurity landscape is getting hectic. There’s no doubt that cybercrime is increasing or that cybercriminals are getting better and more efficient at their job. Since many cybercriminals are in other countries and given the inherent anonymity of cyber attacks, there are virtually zero risks to them. Norton Security estimates that by 2023 cybercriminals will be stealing a total of 33 billion records a year with half of those breaches occurring within the US, according to Juniper Research. Cybersecurity threats are constantly growing – and they’re expensive. The average cost of a data breach has risen to $3.86 million, with the cost of each data record breached weighing in at $148. According to Forbes, analysts predict that cybersecurity is going to change substantially in 2019, with both the nature of attacks and defense becoming smarter. As companies continue to secure their systems with artificial intelligence and machine learning threat detection, cybercriminals are also adopting more advanced technology, including using adversarial machine learning. Altogether, this significantly increases the chances that any business may experience a cyber attack. But what about your business? By 2018, nearly 70% of businesses had experienced some form of cybersecurity attack, and over half of them had experienced a data breach. Moreover, 60% of small businesses will close within 6 months of a major cyber attack. Data breaches and network security threats are only expected to rise in 2019. And while the majority of threat types aren’t changing, the way these threats are distributed is. 1) IoT: IoT-based cyber attacks increased by 600% in 2017 alone. The Internet of Things has led to an expanded network layer with numerous endpoints, making it easier for anyone to compromise a network. Further, malicious attackers can use IoT devices and mobile devices like smartphones to form botnets or initiate DDoS attacks. 2) Cloud-Based Attacks: Microsoft reported that in 2017 cloud-based attacks increased by 300%. As flexible and cost-effective as cloud-based solutions are, they have also made it so that many networks are more vulnerable to attack. You need to protect against cloud-based attacks by deploying next-generation solutions designed for the cloud, as the cloud cannot be protected with simply repurposing traditional on-premises perimeter security tools. 3) Ransomware: The Barkley Team estimates that ransomware will cost businesses $11.5 billion a year in 2019. Ransomware remains one of the most dangerous types of attack, encrypting data and demanding a ransom for the data to be released. Cryptocurrency has made ransomware more effective, as often these ransoms are nearly entirely untraceable. 4) Phishing: While phishing is nothing new, it still grew 65% in 2017. Social engineering attempts remain some of the hardest to protect against, as any one employee could become vulnerable to them in a careless moment. Phishing attempts can lead to compromised credentials, which in turn can lead to data being breached. As a response to these cybersecurity threats, the cybersecurity and threat detection industry is also growing. Market Research Engine predicts that the cybersecurity market will grow into a $170 billion industry by 2022 and it can only grow from there. 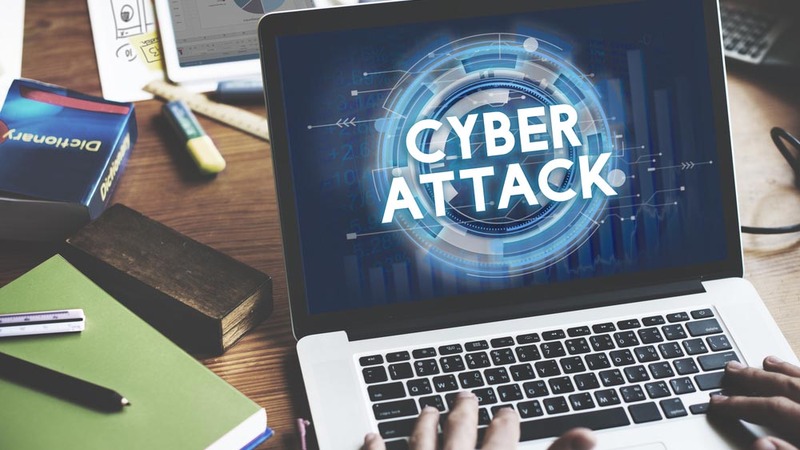 We know that many businesses will be attacked in 2019, but what’s the likelihood of an individual business experiencing some form of cyber attack? The likelihood of your business being attacked directly relates to your organization’s own risk. Your security and infrastructure are unique. Your organization’s risk is a combination of the probability of an attack in addition to the potential impact of a threat. Probability relates directly to your organization’s own technology and operations. If your organization is engaging in high-risk behaviors or collects highly valuable data, the probability of damage will be much greater. Further, the longer a threat exists within your system, the more likely it is to cause damage. So how can your organization determine whether it is at risk of being attacked? How accurate are your network breach detection systems? How responsive is your security team to known threats? What is at risk of being breached within your organization? You can calculate your own risk by looking further into your organization’s probability of an attack in addition to the impact of that attack. The chances any business will undergo some form of cyberattack are quite good. Most businesses and their employees encounter network security threats every day. What matters most is your threat detection system’s ability to recognize a network breach that results from a compromised personal device, phishing attack, or other advanced threat that bypasses perimeter security systems, in addition to whether your employees will be able to mobilize to remediate the attack and control the damage. This year is going to bring with it many new challenges – and it’s likely that the economic losses related to cybercrime will be the worst ever in 2019. If you don’t want your company to be caught in the crosshairs, it’s important to stay abreast of the latest threats and continually invest in and improve your cyber defenses. To that end, hire Awontis today!